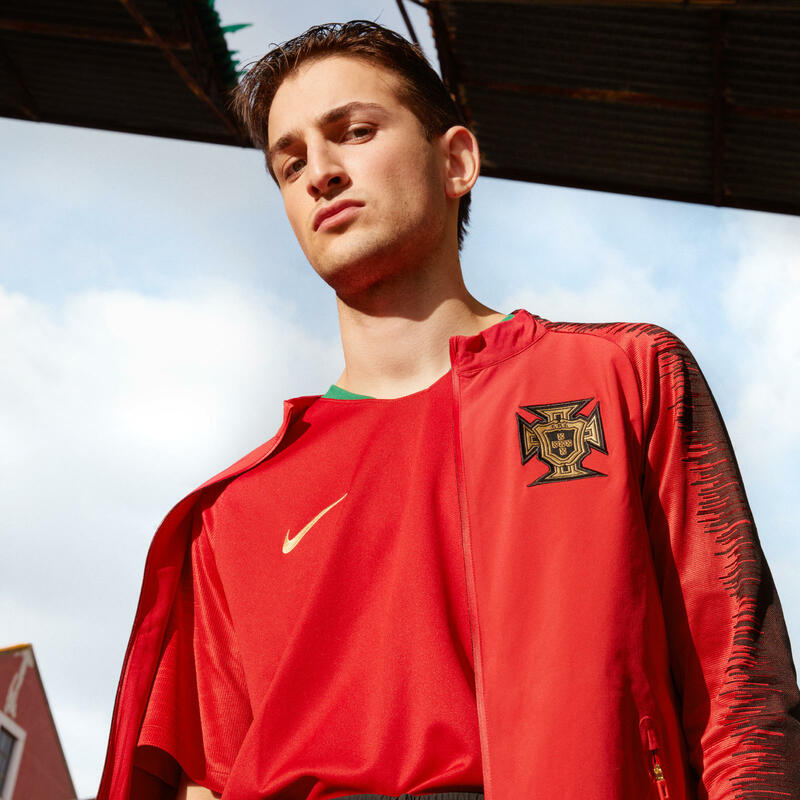 After claiming their first continental title in France two years ago, Portugal will travel to Russia this summer as kings of Europe — and they’ll do it wearing a collection befitting their new regal status. 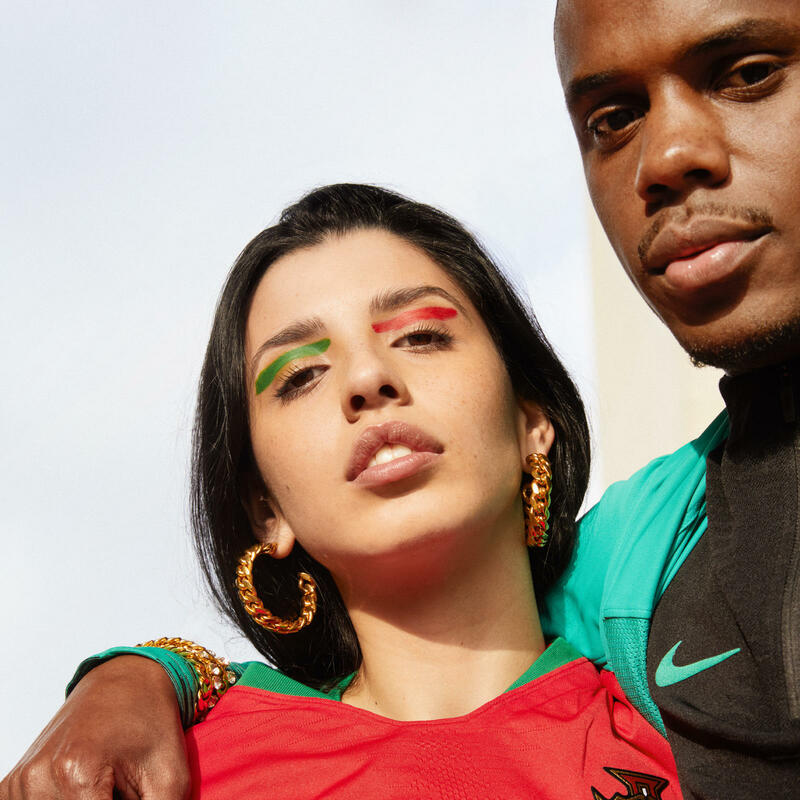 The home kit delivers a rich, classically Portuguese aesthetic topped off with celebratory splashes of gold that symbolize their landmark victory. 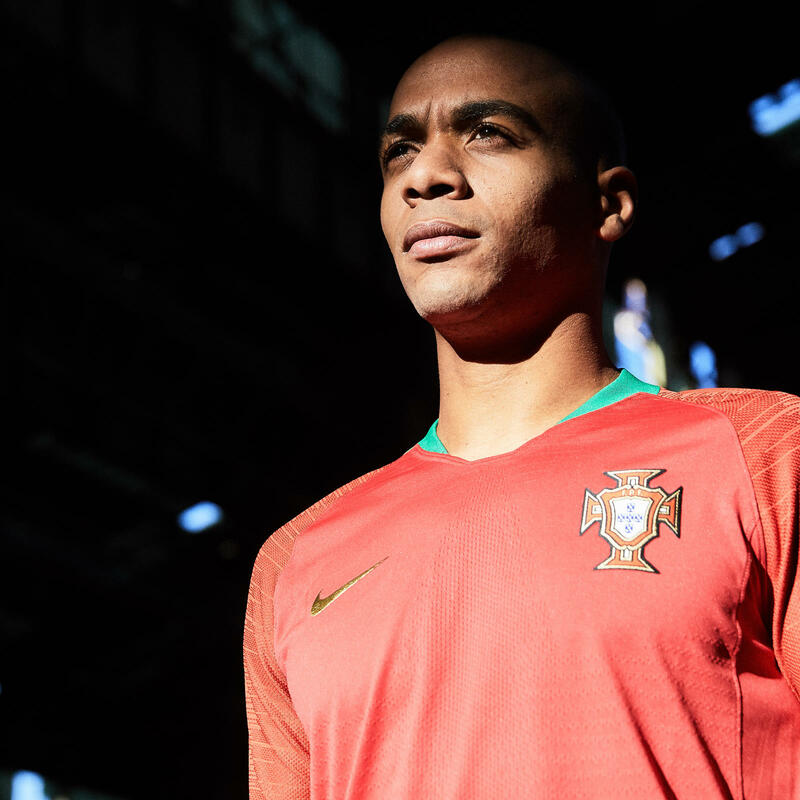 If one player fits the collection’s theme of modern royalty, it’s the Portuguese captain, whose record-breaking exploits, big-game pedigree and leadership qualities command undiluted reverence from his teammates and countrymen. 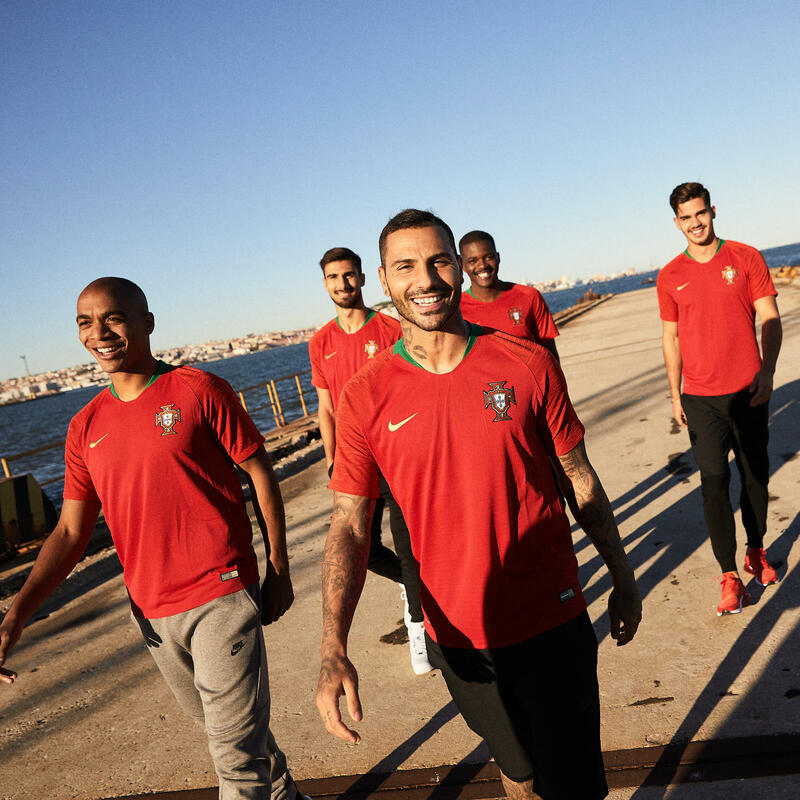 Ronaldo may remain the king, but the emergence of players such as André Silva, João Mario and André Gomes keeps Portugal’s footballing future bright. 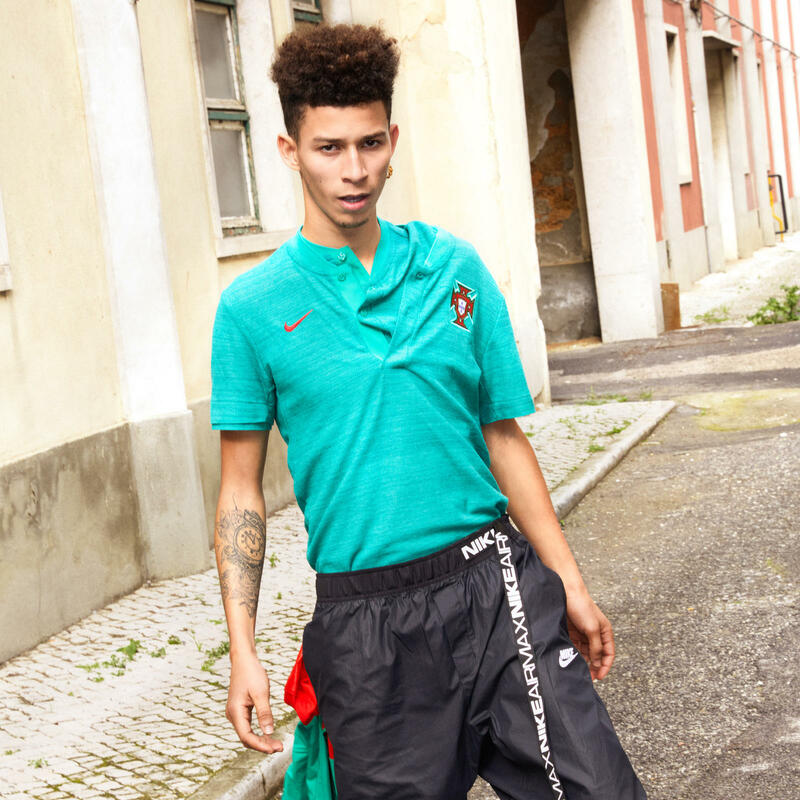 The away kit nods to this relentless hunt for fresh talent through symbols from their naval history. 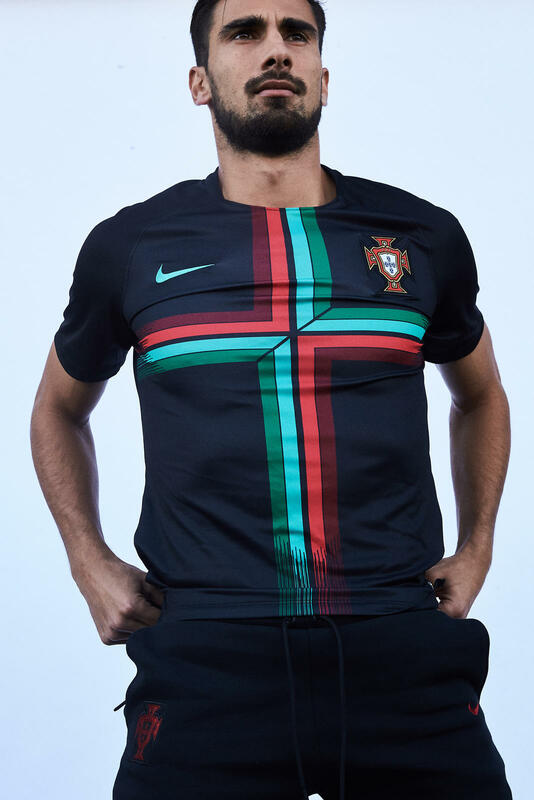 The team’s pre-match jersey continues the powerful themes with a large Portuguese cross, taken from the national flag, dominating the front. 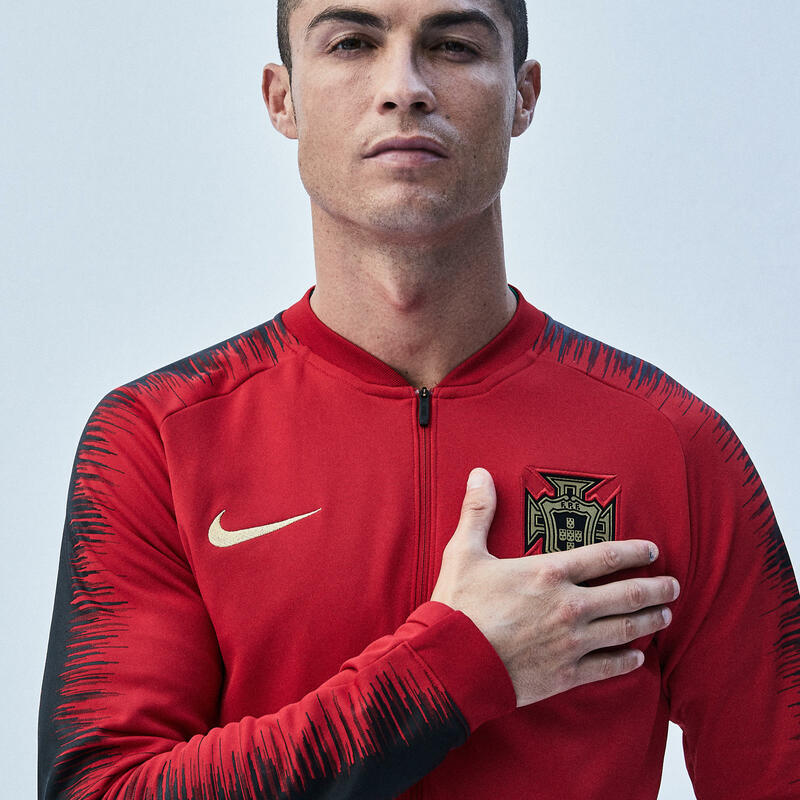 Together, the kits send a message that this nation is hungry for more success.